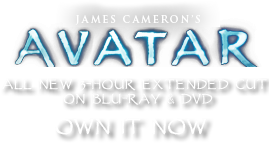 Sturmbeest | Pandorapedia: The Official Guide to Pandora | Own AVATAR on Blu-ray & DVD Now! The colorations on the body is lighter blue on top fading into darker purples and blacks toward the bottom. The male is usually about fifteen percent larger than the female, and has a bigger ridge bone on its back. The male also has a dramatic top horn that is used for defense and in mating contests against other bulls. Their brain mass to body weight ratio is low, and the creatures are slow to react and slow to stop reacting. The young, old and lame are prey only to the largest or fiercest predators, such as viperwolf packs, the thanator and occasionally a large leonopteryx. Anatomy Massive buffalo-like herd beast with six legs and indigo and orange coloring. Its skull features a single large boney horn-like extrusion above the eyes. Extrusions are reddish or orange, with striated slashes of blue. Feeding Ecology Land animal that feeds on grass, shrubs, and various fungi. Hornlike jaw extension acts as plow for digging up roots, grubs and other subsurface food. Size Average animal is up to seven meters long, over 4.5 meters tall. Weighs roughly 900 kilos. Notes Poor long distance vision. But hearing is acute and their sense of smell extends over long distances. They have been observed being startled by a predator over three kilometers away.